What are the advantages of moving storage containers? Keep your belongings safe in your personal storage container without having to travel further than your yard or driveway to access. Mobile storage lets you store your items for short or long term, right outside your door. Is a move in sight? Begin to free up the rooms in your home now, at your own pace, by storing some of your belongings in your mobile cube. As a result, you can plan more clearly and reduce the stress of doing these tasks at the last moment. A moving container is the solution in certain situations such as if your move is delayed, if you are going abroad, or your small condo or apartment has no space for storing your seasonal items and garden furniture. As a student, you want a place to store your furniture and other items during the summer season, etc. Do you own a home business? An additional mobile storage space can also be a winning option if, for example, you need to temporarily store your products for a possible public presentation (exhibition, convention, symposium). Moving containers, how do they work? Your moving container provider will deliver your mobile cube. You can then start storing your items. The side of the moving cube opens at full width to make loading your larger items easier. The contents of a storage cube are protected from moisture and weather by its wooden structure covered with an impermeable sheath. The purpose of a mobile container service is to allow you to fill your container without any time limit. However, if your container is obstructing traffic or if it is on a shared space with other tenants, your moving container may need to be moved on the same day. Moving container providers also offer the pick-up and storage service of your mobile storage cube. You can access it at no cost, at any time (during business hours). On the other hand, for optimal service, it would be better to give 24 hours notice. Generally, by strategically placing your items, it is possible to fit the contents of a 2½-room apartment into a standard size mini-storage (5 x 8 x 7). 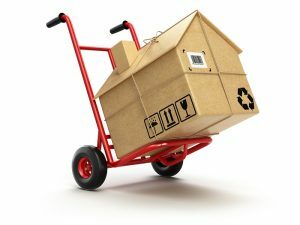 But knowing full well that the providers are not all the same, there are some moving companies that offer help in loading your belongings in a way that optimizes the available space. Rates extracted from the Go Cube website. Taxes are not included in this amount. Prices are as of November 2017. You have every advantage in comparing quotes with the form on this page to find the price and service that is most advantageous for you. The delivery charge for your mobile storage on average is $ 85/ hour from the departure of your supplier (several points of service in Quebec) until their return to their office. What factors affect the price of a mobile container? The number of storage containers required to store all of your belongings can be difficult to determine accurately. However, mobile container providers can guide you depending on the size and quantity of items you want to store. The duration of the rental has a direct influence on the cost of your mobile storage container. A correct estimate is important as each day beyond the rental date is generally charged per day. 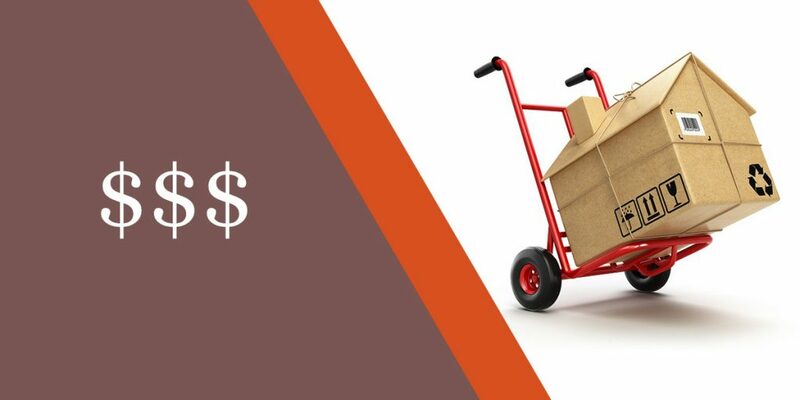 Transportation costs for the delivery and pick-up of your storage container are generally not included in the prices listed on their websites. These fees vary significantly from one provider to the other. Thus, it is important to check with at least three (3) providers of storage containers. Shop around and compare. 5 Movers Quotes can help you do this. Storage at the supplier’s facility involves additional fees that also influence the total amount to be included in your budget. Loading and unloading services of the storage containers are offered by certain providers for an additional charge. It is important to take these factors into consideration when choosing your storage container supplier because it will have a huge impact on the total of your bill. For this reason, it is recommended that you request at least three (3) quotes to compare the exact amount to be allocated for the lease of your mobile storage, warehousing (if applicable), and delivery and pick-up. 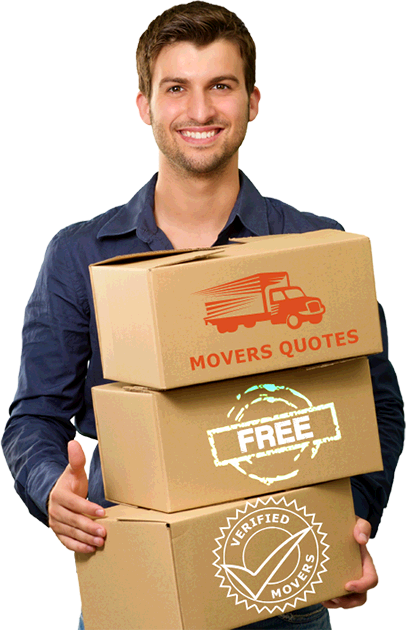 The partners of 5 Movers Quotes wish to help you in your moving project by putting you in touch with mobile storage service providers. Simply fill out the free online request form on this page to receive up to (3) quotes from mobile storage service providers in your area. It is advisable that you store in your storage container only items which won’t be damaged by temperature changes. In addition, it is forbidden to store certain items in your mobile cube: solvents and other corrosive substances, car batteries, flammable products, dangerous or perishable materials for safety reasons. Is a permit required to deposit a mobile storage container near your home? In general, if your mobile storage container does not encroach on a private land that does not belong to you or public land (lane, parking space), there will be no restrictions regarding short-term storage. If necessary, a permit must be issued. Before storing the entire contents of your basement in your storage container, it would be prudent to check the municipal regulations for this purpose. Are goods stored in a moving cube covered by your home insurance? If your storage container is on your property, your home insurance will cover everything in the same way as the property contained in your outbuildings such as a garage not attached to your home, or a garden shed. The risks insured by your home insurance policy will be applied, depending on the limitations and exclusions provided. limited to 30 days. After this period, the scope of your coverage will be reduced, including the interruption of the warranty covering the theft. The choice of the size of your moving container will depend on what you intend to store. For example, a standard size Go Cube (5 x 8 x 7) can hold your summer accessories, garden furniture, summer tires stored during the winter season. By paying particular attention to filling your moving container, you will be able to choose a smaller size. However, whether you only need one Go Cube or RenoBox storage unit, or if the amount of items you need to store requires you to use 2, 3, or 4 moving cubes, it is recommended that you make a list of the items in each of your storage containers and make a plan of the content layout. 280 Up to 2, 000 lbs. There are also other mobile container rentals: U-Box (U-Haul), etc. Receive your free quotes for your moving container at the best price! Save money, time and effort. Renting a mobile storage container saves you the expense of renting a truck and the double handling (loading and unloading) of your goods that conventional storage involves. Did you know that it is 7X faster to use a moving container? Choose easier storage at your own convenience. Fill out the free online request form on this page and the team of 5 Movers Quotes will send your request to our partners, moving container providers, without delay. You will receive in just a few hours (24 to 48 hours) up to 3 service proposals. Just compare them and choose the moving container provider that best fits your needs, expectations, and budget. Don’t hesitate to make your life easier. Choose a moving storage container. If you want a storage service or to rent a mini-container, partners of 5 Movers Quotes also offer these services.